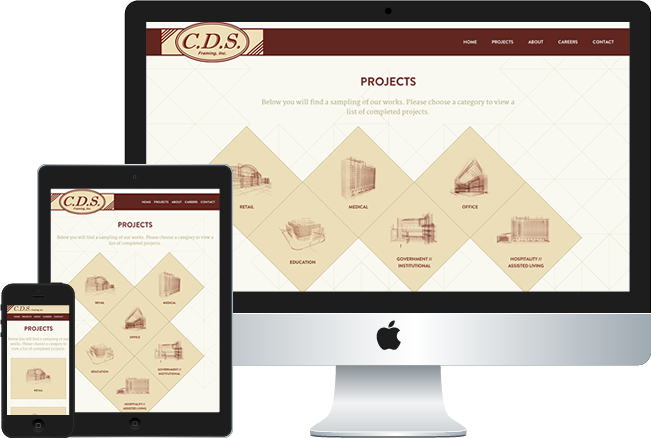 CDS Framing needed assistance in the redesign of a pre-existing website. Their team wanted something that complimented their established brand while representing their trade. We stayed with a clean, minimal design accented by subtle lines and shapes to portray “framing”. We also incorporated some non-standard layouts to highlight important content. 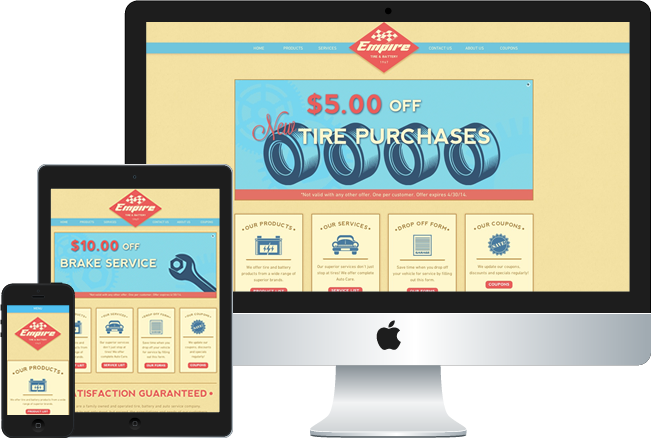 Empire Tire & Battery contacted us to help them design a new site for their Chicagoland based business. They wanted the site to reflect their history as a family owned and operated business, founded in 1967. We decided to go with a retro theme to represent the era in which the business first started, adding some interactive UX elements that play into this theme as well, like the “newspaper” animations on the product page. 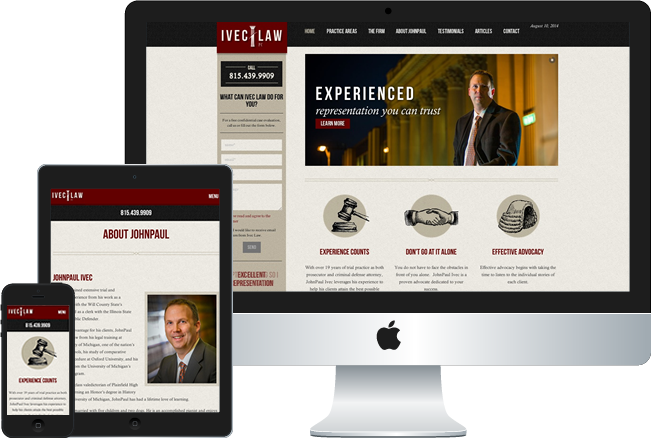 JohnPaul Ivec came to us needing a fresh web solution. As a leading attorney in the Chicagoland area, it was crucial that his online presence back his level of real world professionalism and the success he has attained in his field. We provided him with a beautiful design that supported his established branding while seamlessly integrating all of features he needed for client accessibility. Copyright © 2019 Mind-Blowing Things, a division of Revelation Concept. All rights reserved. Site crafted by Mind-Blowing Things.